My friend Kerry celebrated her birthday this week, as did I, so she and another friend of ours got together to have lunch and a catch up. Kerry’s husband is very ill with Mesothelioma and we meet regularly to give her a chance to forget about things for a while. She gets to talk about things and de-stress a bit. She is such a strong woman, much stronger than I am (little Miss Water Works – I cry at the drop of a hat) and I endeavour to be more like her. 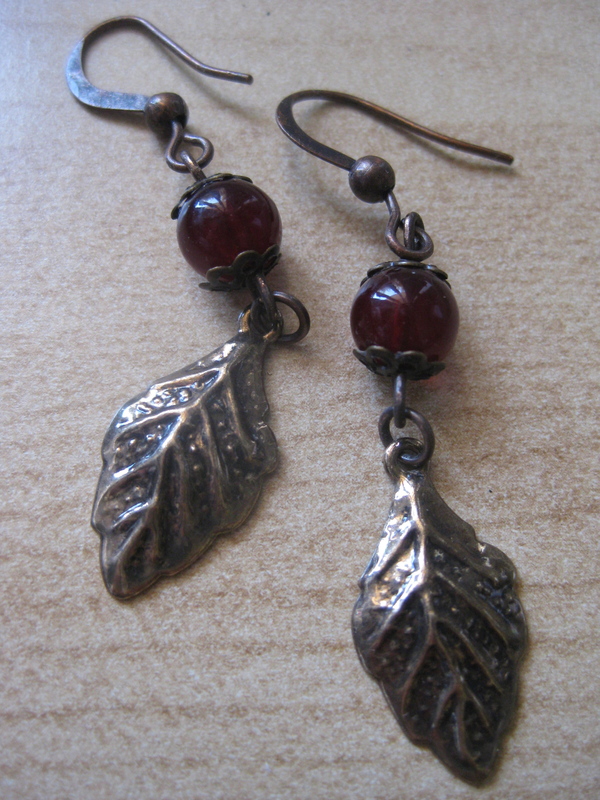 I had run out of time to buy her anything for a gift, so I hastily made her a pair of earrings in tones of red and bronze (two colours she wears frequently). I packaged them up in a recycled sweets box (the box was recycled, not the sweets!) – another friend of ours had brought us some lovely lollies from Japan in this box and it seemed like a shame to throw it away once the contents were all gone. 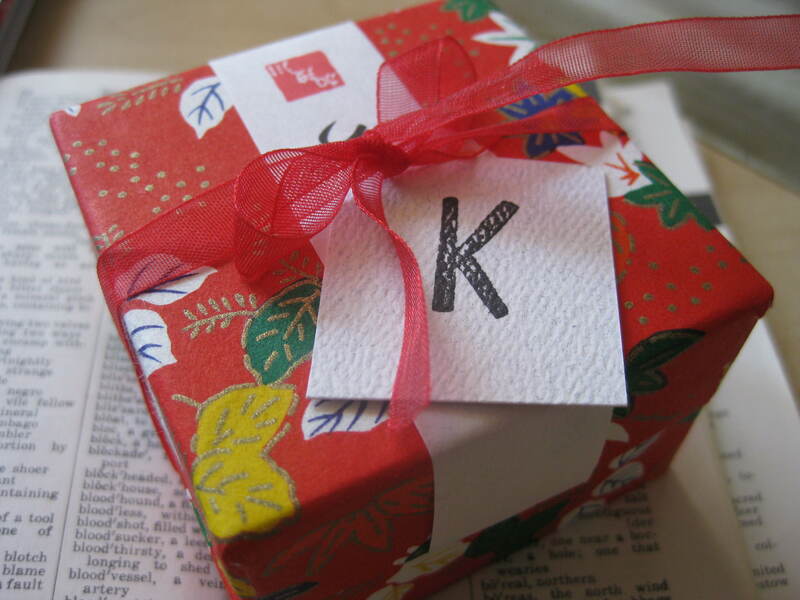 I quickly made a plain little tag with “K” on it – I didn’t have time to be any fancier than that. Kerry’s house is decorated in a Japanese theme (it is absolutely stunning) and so I figured the little box would be fitting and appreciated. 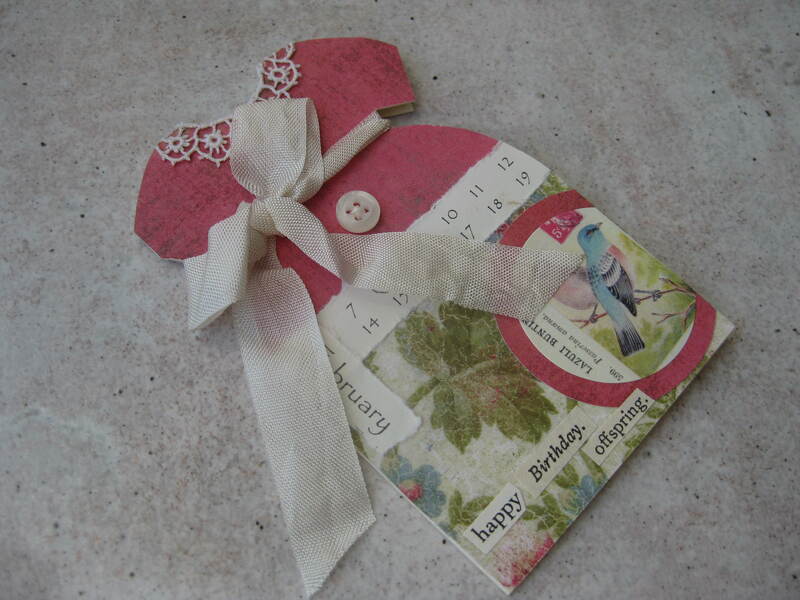 I was lucky enough to receive lots and lots of lovely cards and gifts from people on my birthday (the 8th Feb). 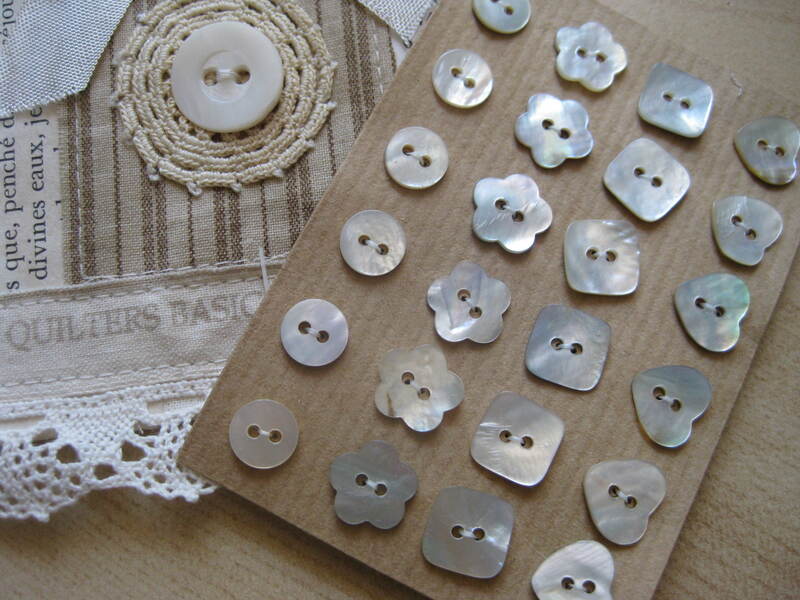 My wonderful Mum handmade a card for me (so cute) and one of my gifts from her was a beautiful little paper & fabric envelope filled with vintage Mother-of-Pearl buttons. So sweet! 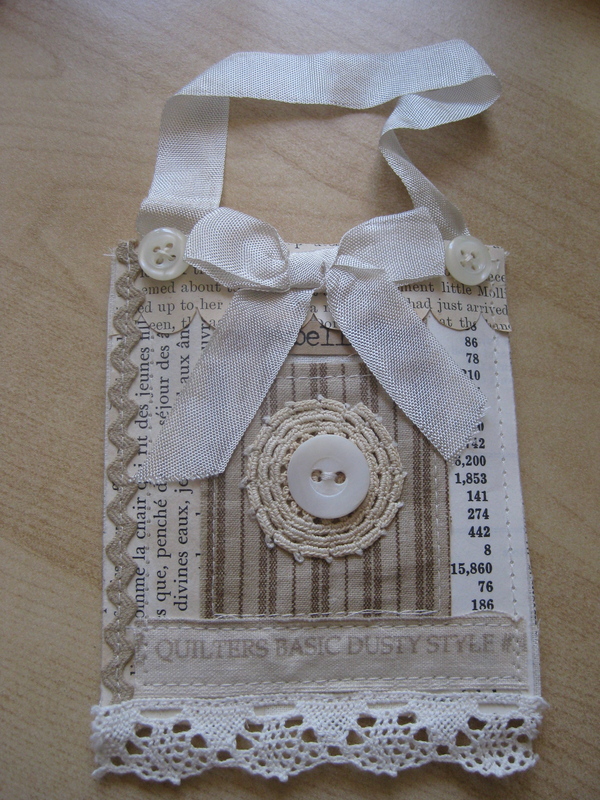 Homemade gifts are nice to give and equally lovely to receive. I’m going to attempt to make most of my Christmas gifts this year. I say that every year mind you. Maybe if I aim for making things for half the people on my list…think that could work?